Gvtel Communication System is dedicated towards meeting the diversified need of our customers for Speed Radar Guns. These guns are used to accurately measure the speed of any traveling object. Radar Guns are also used in the modern sports to evaluate the capability of sportsmen by measuring the speed with which they can throw or kick the ball. 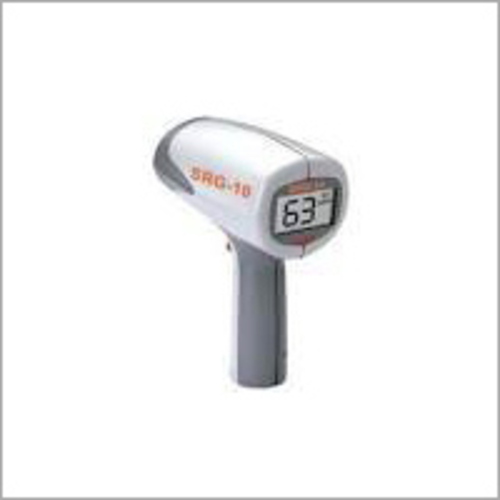 These baseball radar guns are capable to measure the speed of a cricket ball from a distance of 100 feet or a moving vehicle from as far as 1000 feet. Speed radar guns manufactured by us are very easy to use since you just have to point and shoot the moving object. Our engineers are focused on using the latest technology while developing these guns to ensure that they capture accurate data helping our customers to make precise decisions.